What's cookin'? 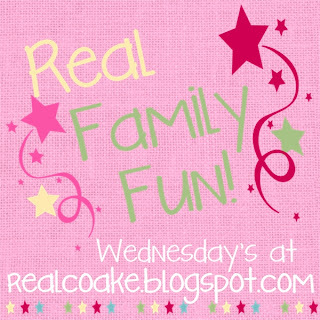 Today's Tasty Tuesday post features a recipe for lemon rice pudding my youngest sister shared with me years ago. This pudding is creamy and oh-so-refreshing. It tastes even better when served with fresh raspberries (or raspberry sauce) and coconut chips from Trader Joe's (or toasted coconut shreds). Just sayin'. This got five thumbs up when we had company last weekend. 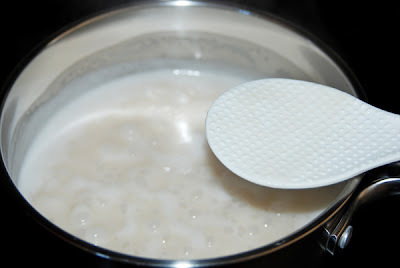 Combine coconut milk, water, rice, sugar and vanilla in a medium saucepan. Bring to a boil over high heat, then simmer about 35-40 minutes (or until thick), stirring occasionally to prevent sticking. Remove from heat. Stir in lemon juice and peel. Pour into a serving bowl. Chill at least 1 hour before serving. Top with toasted coconut and fresh raspberries (or raspberry sauce) right before serving. mmm- i used to love rice pudding but for some reason i haven't made it in years!! look good bet it was oh so yummmmmmmy. ooooo I love LEMON so I'll be looking into this. THanks for your enouragement Lisa - I hope to heal swiftly. And I have been wanting to mention I absolutely adore your new avi- great photo of you!!! OH MY!!! This sounds yummy! Especially with the addition of some raspberries!!! I couldn't tell you how long it's been since I've had rice pudding and I have never had lemon coconut raspberry rice pudding but it sure sounds wonderful. Marking this down on my list of things to try! I love puddings and this one looks delish.Love that you post recipes!!! I love me some rice pudding. Something totally new to me. It sounds interesting.